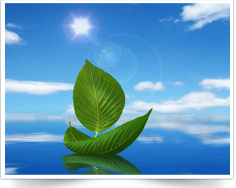 Ayurveda represents the science of life and longevity originating in the Vedic tradition of India. A traditional holistic health care system, older than any other system of medicine, Ayurveda has been in practice for more than 5000 years now. 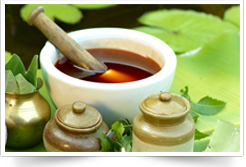 Over centuries Ayurveda has had a nurturing influence on ancient Chinese systems of medicine, Unani medicine, and the humoral medicine practiced by Hippocrates in Greece. The current knowledge about Ayurveda is primarily drawn from the Charaka Samhita (though there are earlier versions, Charaka Samhita in its present form is estimated to date from 1st century AD), Vagbhatta`s Ashtanga Hridayam (approximately 500 AD), and the Susruta Samhita (the Susruta Samhita is believed to have originated in the last centuries BC, but the date of its present version is fixed by researchers at 7th century AD). These three classic texts describe the basic principles and theories from which Ayurveda has evolved. They reflect an overwhelming wealth of clinical as well as surgical information, enriched further by later research, on the management of a multitude of diseases and ailments. Its major premise involves the symbiosis of human body and nature; any imbalance in this synthesis results in physical ailments. This ancient Indian science of healing seeks to re-establish the harmony between the body and its habitat by creating the optimum health environment. Ayurveda therefore is not simply a health care system but a form of lifestyle adopted to maintain perfect balance and harmony within the human existence, from the most abstract transcendental values to the most concrete physiological expressions; based on the premise that life represents an intelligent co-ordination of the Atma (Soul), Mana (Mind), Indriya (Senses) and Sharira (Body). That revolves around the five dense elements that go into the making of the constitution of each individual, called Prakriti. This in turn is determined by the vital balance of the three physical energies - Vata, Pitta, Kapha and the three mental energies - Satwa, Rajas, Tamas.